Asian Food Served On White Wooden Table, Top View, Space For.. Stock Photo, Picture And Royalty Free Image. Image 72245559. 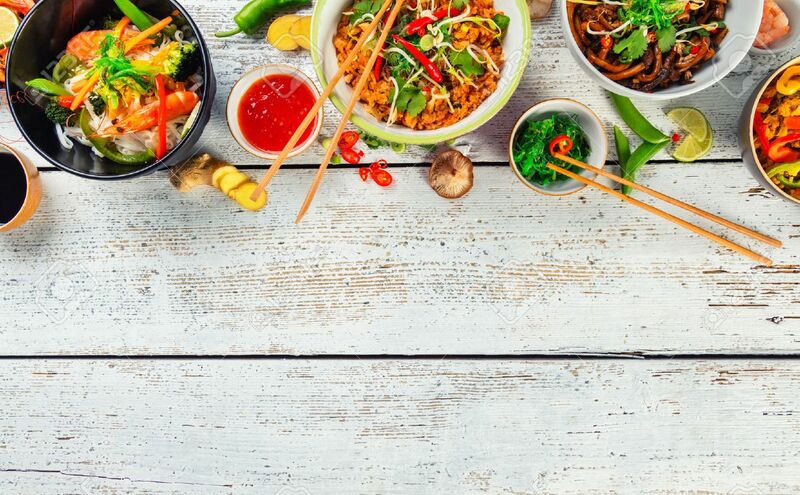 Stock Photo - Asian food served on white wooden table, top view, space for text. Chinese and vietnamese cuisine set. Asian food served on white wooden table, top view, space for text. Chinese and vietnamese cuisine set.